MANOWAR - THE LORD OF STEEL LTD. VINYL (2LP PIC) | Online Shop | Wizard LTD. 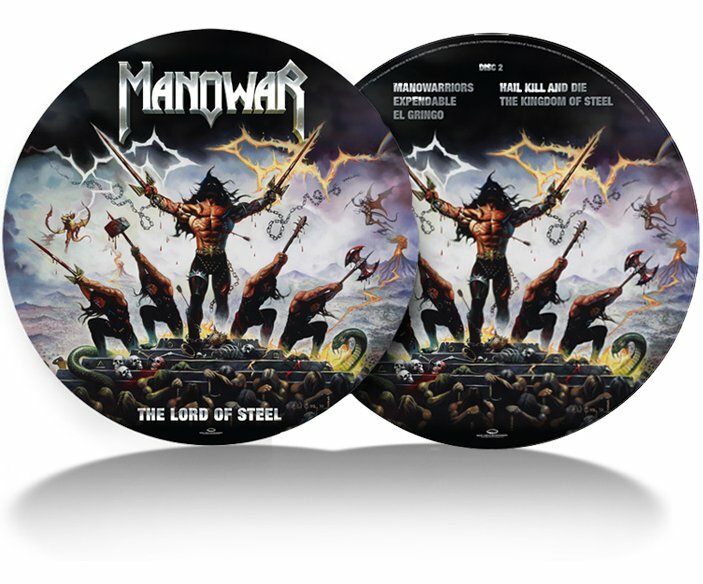 Album: "THE LORD OF STEEL LTD. VINYL (2LP PIC)"
Magic Circle Entertainment have announced that the vinyl edition of MANOWAR&apos;s twelfth studio album, The Lord Of Steel, will now be released as a Limited Edition Double Picture Vinyl and will be available on January 11th 2013. "With the extended running times of some songs and the additional track &apos;The Kingdom Of Steel&apos; the songs required more space than a single picture vinyl could provide while still being able to provide the best sonic quality." explained a label representative. The Lord Of Steel Limited Edition Double Picture Vinyl features an epic new illustration by fantasy artist Ken Kelly on all sides and the same tracks as the recently released CD, yet with a different track order due to running times.